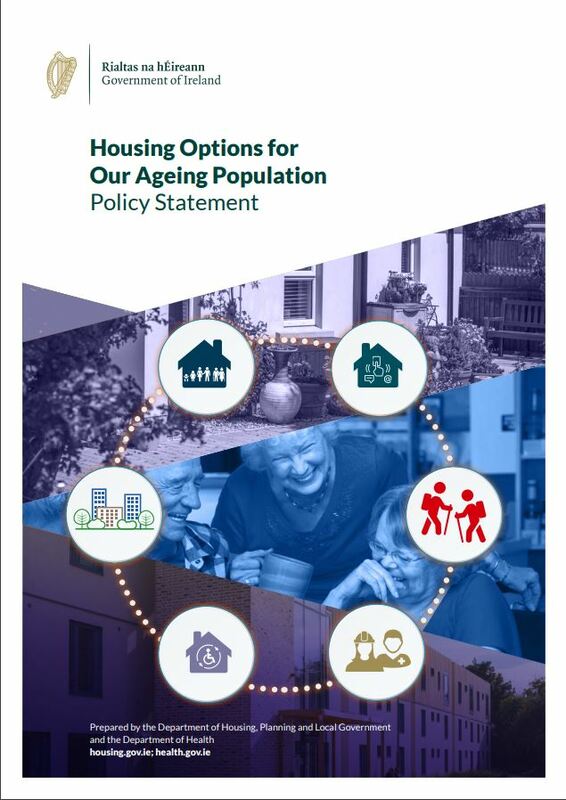 The Department of Housing, Planning and Local Government and the Department of Health published a joint policy statement on Housing Options for Our Ageing Population. The policy was announced 27th February 2019 by Minister Damien English TD, Minister for Housing and Urban Renewal and Minister Jim Daly TD, Minister for Mental Health and Older People. The statement sets out the framework for creating more housing options for older people. It recognises the importance of developing alternatives for older people so that they can plan and prepare for their ageing needs in a way that suits them. Ava Housing (Formerly the Abhaile Project) is one in a range of housing solutions that is being developed to support older homeowners. Having just completed our first pilot project we are looking forward to opening the scheme up to more people. We intend to initially focus on houses in South County Dublin, Fingal and Dublin City and expand to nationwide over time. We are currently collecting expressions of interest so that as we expand we can keep interested parties informed. We recognise that this is one in a range of options that is being made available to older homeowners and will not necessarily suit everyone. We are aimed at older homeowners living alone in family sized houses (mainly your typical 3 bed semi detached house), whereby Ava Housing supports the homeowner to reconfigure their home, creating a single-occupancy rental upstairs. The idea is that the homeowner would then live downstairs, but would get some company, security and income, whilst maintaining a level of autonomy in their living arrangements. Ava Housings welcome the joint policy statement. We look forward to working with more homeowners to support ageing in place and future proofing their homes.